Keith Douglas Sweat is an American R&B and soul, singer-songwriter, record producer, actor, radio personality, and an innovator of new jack swing. Sweat is most widely known for his song, Twisted. Sweat started his musical career as a member of a Harlem band called Jamilah in 1975. With the help of Jamilah, Sweat was able to hone his craft as a lead singer by performing regionally throughout the tri-State area of New York, New Jersey and Connecticut. The group was started by bassist Larry Peoples, guitarist Michael Samuels, and drummer Walter Bradley. After leaving the group in 1984 to begin a solo career, he sang at nightclubs throughout New York City and landed a chance to record for the independent label, Stadium Records. Sweat recorded only one tune for Stadium called “My Mind Is Made Up”, which was their third ever release, but on Stadium’s first release, he is credited as co-writer and co-producer of “You Are The One For Me”, the last recording ever made by the group GQ. One of GQ’s original members is his uncle, Keith “Sabu” Crier. 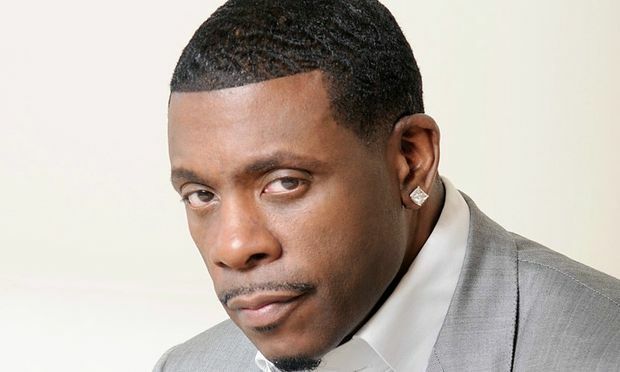 Later in 1987, Keith Sweat was discovered by Vincent Davis and offered a recording contract with his label, Vintertainment Records, which was founded in 1983 on the foundations of early Hip-Hop and otherwise best known for releasing Joeski Love’s “Pee Wee’s Dance” in 1985. Vintertainment was distributed by Elektra Records from 1985 until it ceased operations in 1990. On November 24, 1987, Sweat released his debut solo studio album Make It Last Forever, which sold three million copies. The biggest hit from this album was the song that inaugurated the new jack swing era “I Want Her” (#1 R&B/#5 Pop), which was nominated for the 1989 Soul Train Best R&B/Urban Contemporary Song of the Year award, while the title track from the album hit #2 on the R&B charts. Sweat reached the charts again with his second album I’ll Give All My Love to You (1990) which hit #6 on the Billboard 200 chart. He released his third album, Keep It Comin’ in 1991, which debuted in the top 20 of the album chart. In 1992, Sweat discovered the group Silk, and helped craft their debut album, Lose Control, which hit #7 on the Billboard 200 album chart. The album’s single “Freak Me” hit #1 on the Billboard Hot 100 on May 1, 1993. In 1993, Sweat discovered the Atlanta-based female R&B group Kut Klose. Sweat also produced the group’s debut album Surrender, which produced their biggest hit single “I Like”, peaking to #8 on the Hot R&B/Hip-Hop Singles & Tracks chart. Sweat released his fourth album Get Up on It in the summer of 1994, and his self-titled fifth album in 1996. Both albums reached the top ten on the Billboard 200. The single co/produced and written by Eric McCaine “Twisted” featuring R&B group Kut Klose hit #2 on the Billboard Hot 100 and “Nobody” hit #3, which made them Sweat’s biggest hits to date. “Just A Touch” was a cover of the 1979 song “Just a Touch of Love” by Slave. In the fall of 1997, Sweat discovered the group Ol’ Skool and helped with their self-titled debut. He was on their biggest single, “Am I Dreaming,” which featured R&B group Xscape. Sweat also formed the R&B supergroup LSG with Gerald Levert and Johnny Gill, and released their self-titled debut Levert.Sweat.Gill in 1997. That album featured “My Body”, which became a hit single. The album was certified double platinum and reached #4 on the U.S. Billboard 200. Sweat’s sixth album, Still in the Game was released in 1998, hitting #6 on the Billboard 200, and #2 on the R&B/Hip Hop albums chart. It featured the singles “Come and Get With Me” (which featured Snoop Dogg) (#12 Hot 100) and “I’m Not Ready” (#16 Hot 100). Sweat’s success on the charts started to diminish in 2000, when he released the album Didn’t See Me Coming. None of the singles from the album reached the top forty. On August 13, 2002, Keith Sweat released his eighth album, Rebirth. The single “One on One” reached #75 on the Billboard Hot 100 and #44 on the Hot R&B/Hip-Hop Singles & Tracks chart. His 2008 album Just Me included the single, “Love U Better (featuring Keyshia Cole)”. Sweat is currently signed to Kedar Records and released his tenth studio album entitled Ridin’ Solo on June 22, 2010. The lead single taken from the album is “Test Drive” and featured label-mate Joe. Since 2007, Sweat has been the host of a nationally syndicated radio program based upon the Quiet storm format. The Keith Sweat Hotel (known as The Quiet Storm with Keith Sweat on WBLS in New York City) is syndicated through Premiere Radio Networks.